In fall 2016, Blake Mechtel (B.S. Music Education, class of 2020) founded the University's only official student-run a capella vocal ensemble. Named "Mic Drop," the group has already had surprising success both in and outside of Pittsburgh. 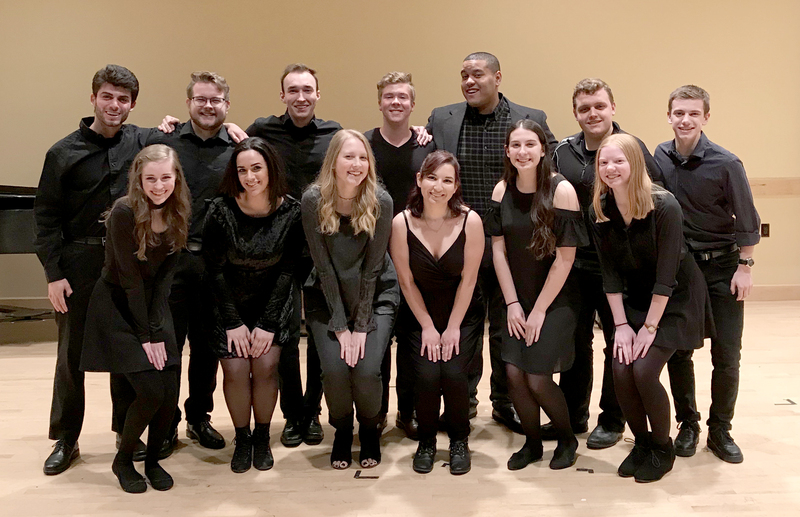 This spring, the Mic Drop singers travelled to Rochester, NY to make an outstanding debut at the prestigious International Championship of Collegiate A Capella competition. This nationwide event attracts hundreds of college groups every year. Not only was one of their songs a surprise nominee for best arrangement, but also two of their singers (Gabrielle Garcia and Mr. Mechtel himself) were nominated for best soloist. Duquesne University Student Television assisted Mic Drop by helping them make this promotional video. Fresh off a string of successes, Mic Drop plans to release a single and a music video next year. They also plan to attend an invitational competition at Drexel University in Philadelphia to gain further experience on the stage. With 18 students on campus participating in the organization, Mic Drop seems to have a bright future ahead. Says Mr. Mechtel, "I want to make Mic Drop more well known, and hopefully it will eventually expand the a cappella community at Duquesne. This is a type of music that has absolutely changed my life!"